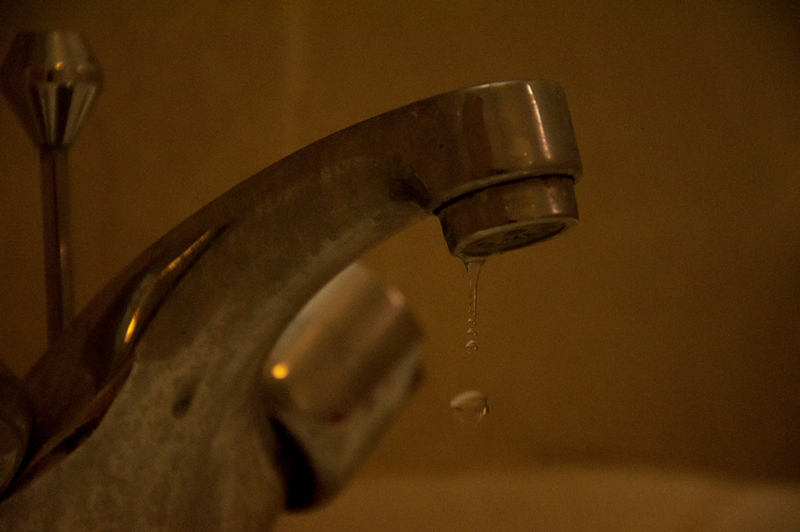 Qatar’s water consumption is among the highest in the world, but that usage is taking its toll. Aamena Ahmed and Ardinny Razania report. That’s how long Qatar’s water supply will last if an emergency strikes. Despite this, the desert nation’s consumption of water is among the highest in the world, according to a recent report released by Kahramaa, Qatar’s national utility company. Qatar’s expat residents consume a per capita average of 150 liters, or nearly 634 cups of water per day. But nationals consume eight times that amount, or about 5,100 cups of water per day, said Mari Luomi, a post-doctoral fellow of Middle Eastern studies at Georgetown University School of Foreign Service in Qatar. Because Qatar has little fresh water, the country’s burgeoning population depends on desalinated water, which accounts for 99.9 percent of drinkable water. For many, such consumption is a given because of the region’s dry climate, heavily subsidized water and what some say are emerging materialistic practices. Qataris don’t pay for water, and water bills for expats are also the lowest among the region, said Renee Richer, a biology professor specializing in ecology and the environment at Weill Cornell Medical College in Qatar. “We’re not paying the true cost of that water, so there is not a lot of incentive to be water-conscious,” Richer said. And for Qataris, water consumption is directly related to the income and social status of the country. “If you have a five-member family, then you have at least six to seven cars,” said Sree Pillai, senior environmental specialist at Qatar Foundation. Those cars are washed often – almost every day, he added. “It’s a very dry country and so you have a lot of water consumption, if you have swimming pools for example, ” he added. Qatari nationals also have bigger houses and gardens than most people in the world, said Dr. Nawal Sunna, senior water quality specialist and head of Kahramaa’s health, safety and environment department. “People here like grass, and like to see green places. They like to see fountains,” she added. But the expensive price of the desalination process isn’t only reflected in the rich lifestyle of the nation. It’s also becoming increasingly apparent in the country’s deteriorating marine ecosystems. “Essentially what we’re putting back into the Gulf is this warm, excessively salty brine (water). When this hot salty water is released, the area around that release is called the plume, and so whatever is in that region is going to be adversely affected,” Richer said. The harmful effects of this artificial water aren’t only evident in the environment; Qatar’s residents also pay the price for consuming it, said Imad Jawhar, certified environmental trainer at the Occupational Safety and Health Administration in the United States (OSHA). When taking showers, the chemicals used to treat desalinated water come into direct contact with our skin and hair, he said. But recently, Qatar has taken several measures to educate its youth on water scarcity and help secure its water supply for the future. The country plans to build five “mega” reservoirs on the outskirts of Doha by 2016, Construction Week Online reported. But despite these efforts, Qatar has plans to build more desalination plants for the future, with some already under construction, said Riad El-Talatini, an environmental specialist at Qatar Electricity and Water Company. And as the number of desalination plants increase in Qatar, their harmful impacts will become clear, Richer said. There should also be concentrated effort that starts from homes to farms, to government offices and industry sites, said Samer Adham, managing director of Conoco Phillips’s water sustainability center at Qatar Science and Technology Park. A Good Report…. Good Job.!!. What is the best approach for preserving water in Qatar then..?? Based on my reporting, I think there needs to many more, larger scale awareness initiatives and the government also needs to get involved. But more than just awareness, I think we need to start seeing water conservation policies actually being implemented across the country – starting with industries that waste the most water such as irrigation (sprinklers, water hoses, etc. to grow grass) which consumes 60-65 percent of Qatar’s water supply! Washing cars daily is a big part of the problem. Also, the new towers are made of glass that need cleaning. Not to mention the water that is being used on the roads I seem them using water mid day when its far too hot for the water to even be absorbed. There are tons of issues that maybe the Environmental commission needs to study. For years people are complaining about hair loss due to the water. Wonder how the chemicals the fish are being exposed to and we eat what effect it has as well. Hope they take the report seriously and make the necessary changes. Even at the Pearl during the middle of a dust storm they are out cleaning sidewalks with water and cleaning dust off of railings its truly ludicrous but when told to clean they clean. Watering plants should only be allowed in the evenings during the high temps. a drip system goes a long way to help as well. Also, planting succulents and cactus also helps. I’m writing on behalf of Qatar General Electricity & Water Corporation “KAHRAMAA” & I truly like to salute Northwestern University QATAR’s (NU_Q) students Aamena Ahmed and Ardinny Razania on their report on “Qatar Water Woes”. A lot of effort is obviously invested in this report including interviews, research and delicate techniques of electronic journalism. I further emphasize the importance of youth participation in negotiating Qatar’s problems and highlighting community woes. In fact, reporting one of these problems, namely water shortage, during classes at NU-Q is a great initiative. Consumption per captia, according to latest statistics, is 464 liter. In regard to Qatari consumption: those above 100 cubic meters represent 39% and 61% of Qataris are beyond 100 cubic meters. The average fold in regard to expatriates is less than 3 times not 8 times as mentioned in the report. Residential consumption of water represents 55% of total consumption including both Qatari & non-Qatari. Besides these statistics, I may add that no alternatives or solutions are offered in the report except for the KAHRAMAA Mega Reservoirs project which can ensure a one week emergency water efficiency not 2-day as mentioned in the report. It is noticed that there is no mentioning of Law no-26 for year 2008 which regulates consumption of water & electricity in terms of water hose usage in car wash & house outer field cleaning, outside lights on fences & internal water leaks. I also wished for more highlight on Water conservation initiatives by KAHRAMAA like the past campaign “Save it to last” which lasted 5 years and succeeded in reducing consumption by 7% in terms of electricity & 10% in terms of Water by 2011 survey. In addition, a more strategic initiative is currently taking place in the form of the formation of Conservation & Water efficiency Department in KAHRAMAA which is the owner of implementing QATAR NATIONAL Water & Electricity Conservation Campaign, launched under HH Sheikh Tamim Bin Hamad Al-Thani the Heir apparent, which aims at reducing Water consumption by 35% & Electricity by 20% in 5 years (2016). This mission will be accomplished by planned strategies including: Conservation retrofit program (in mosques, schools, gov. buildings, residential…etc), Standards & Codes for green buildings & conservation tools, Demand side management & investing in renewable sources, and of course community awareness & development with cooperation with entities such as yourself Doha Stories & NU-Q & other educational & civil society organizations. KAHRAMAA is ready for cooperation with all Qatari community members to build-up the conservation culture & results in this country & the work of everyone each in his own field. So help us, “Conserve now …. Keep Qatar Pulsing”. Thank you for showing interest in my slideshow report. I really appreciate it. I would also like to thank you for highlighting additional statistics about water consumption in Doha that weren’t mentioned in my story. Honestly, when conducting my research, I was also surprised with some of the information and statistical figures that I gathered as well, but it was all supported with official and reliable sources. So in regards to addressing your concern, there are a few points that I would like to clarify. First, in my research, I did find that the nation’s average per capita use of water is approximately 464 liters, but I felt that it didn’t accurately explain the per capita use since there was such a huge disparity in the amount of water being consumed by locals and that of expats, particularly factoring in labor workers. So instead, we contrasted the per capita use of the locals with that of the expat community to present a more specific image of water consumption in Qatar. Also, the 8-fold difference (150 liters vs. 1200 liters to be exact) in water consumption among expats and locals is a fact that I gathered during an interview with an environmental researcher and doctoral fellow at Georgetown University School of Foreign Service in Qatar, Mari Luomi, as sourced in both my video and written report. If you feel this information is still questionable, then please clarify that with the original source. Second, I would like to clarify that two days of emergency water supply is referring to the emergency supply of water four months ago, when my report was posted, not the supply of water available after the mega reservoirs are constructed. I believe I made that clear in my report. Third, I didn’t feel the need to mention “Law No. 26” established in 2008 or other such past water conservation campaigns since we wanted to focus on recent and timely information. I would also like to point out that despite the establishment of this law water consumption continues to remain a growing problem. My partner and I were fairly limited in not only the time we were given to put this report together but also in how long the video and written piece could be, so we tried to present the most important information in the most precise way from all our research, which is why we focused on the use of water as a major growing concern in Qatar. However, as we stated in our written report, I definitely agree that there are some water conservation efforts being implemented across the nation. Finally, I would like to emphasize that all the facts, statistics, and other such information stated in our story are all supported with detailed sources. But if you still feel that there is discrepancy in our reporting, then please feel free to contact the original sources if you need to, since they will be able to further explain the information that was shared. I am always willing to make the necessary changes if there is any inaccuracy in my reporting. Thanks again for all your comments and I hope that I have addressed and clarified your concerns. Thanks Amena for the explaination. However, I emphasize that the most valid source of information is usually the main source which in this case “the sole transmission and distribution system owner and operator (TDSOO) for the electricity and water sector in Qatar”, Namely Qatar Electricity & Water Corporation “KAHRAMAA”. Again I want you to understand that your report is excellent in setting an alarm for Water woes in Qatar”. It is a courageous call for conservation . Moreover,you are most welcome you & your colleagues to report other pleas for Electricity & Water conservation, Energy efficiency, green programs, …etc with our full support . I gave it a thought and still will give it a thought. “Action is a great restorer and builder of confidence. Inaction is not only the result, but the cause, of fear. Perhaps the action you take will be successful; perhaps different action or adjustments will have to follow. But any action is better than no action at all. By Chemical in water ..you meant chlorine ? For the water statistics 150/1200l/d/capita, please refer to GSDP’s current Qatar National Development Strategy. As we know, there are parallel data sets for most environmental indicators you can imagine, as different institutions that collect data use different methods, collect their data at different times, and sometimes use different sources for their data collection. However, until statistics become streamlined, we can still defer from these different numbers that consumption levels are high. Whether it is 400, 700 or 1200 litres per capita (there are several figures out there), given the water scarcity of this country and high environmental costs of desalination, there are in any case strong reasons to work for reducing demand. Kahramaa’s campaigns are a step in the right direction. I read your article, it was fantastic. I have a question. Why Qatar doesn’t import water for only drink use? Pure water can guarantee residents health in Qatar. For other uses (e.g. irrigating), they can consume desalinized water. I want to know why you don’t import drinkable water from other countries. The problem about water shortage world wide is bigger than most water users think. Like said , cleaning cars, showering too long exc exc in these their is a lot to gain. Making people think different about water is a first step and the toughest. is also a problem as mentioned. For homes, hotels , residential places air to water systems could be a solution. ATW systems generate fresh drinking water. Depends on the air humidity and temperature. SE-Innovations, air to water systems. What is the alternative to desalination? Which other method can be used to obtain drinking water from the resources apart from deslination which is apparently harmful to the marine diversity?